The popularity of president Pedro Pablo Kuczynski (PPK) continuous to decline. 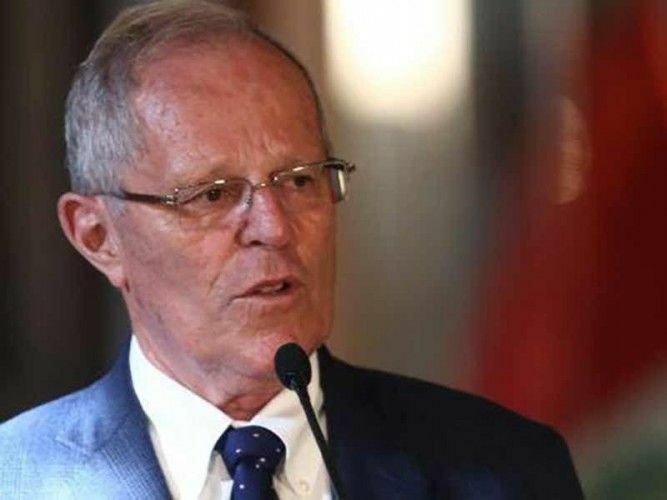 Less than half a year after taking office the approval ratings of the Peruvian Head of State dropped from over 70% to only 37,2% in January according to the newest survey from CPI, the Peruvian market research and opinion company, a minus of 9 points compared to December. The latest survey of GfK Peru, the Peruvian subsidiary of the internationally operating market research company, even attest the Peruvian president the support from only 35% of the population; a decline of 11 percentage point compared to their December poll. So overall it seems that the efforts and initiated changes of the new Peruvian government don’t reach the ordinary Peruvian citizens. According to already above mentioned CPI survey with 51.3% the single most prevalent problem in Peru is security / crime. Over 20.3 % of those participating in the survey even believe that crime rates increased under PPK. The GfK poll revealed that 52% of those participating in the survey think that the main negative aspect of the current government is that crime isn’t fought properly and security isn’t established. The second most mentioned problem is corruption with 12.3%, while 25% believe that the government doesn’t fight corruption the way they should. Here as well the government seems to not deliver what people hoped for or, as especially in the last weeks the president brought clear measures on the way, the message didn’t reach the citizens. Other problems according to the CPI poll include the lack of jobs (11.3%) and the overall situation of the economy (10.8%). Surprisingly only 1.9% mentioned the quality of Peru’s education system that just recently made the news once again. Other reasons for the increasing disapproval ratings of Peru’s president with slightly different percentages depending on which survey is consulted include that he is not keeping his promises and doesn’t have character / authority/ leadership. But there is also light at the end of the tunnel. According to the GfK survey, 19% of those participating in the poll believe the Peruvian president is doing a good job at fighting corruption; 19% as well think his changes are for the better and 16% see that he is promoting employment and investment.